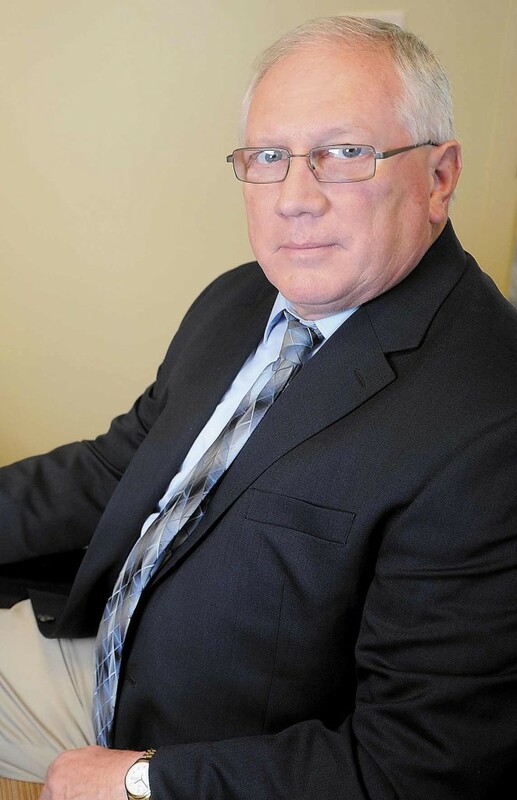 Waterville police chief was recently invited by the U.S. Drug Enforcement Agency to speak to 300 pharmacists and others from all over the Northeast about a prescription drug diversion program he had started in 2007. WATERVILLE — Police Chief Joseph Massey tells the story about a woman who recently tried to mail 2,100 methadone pills, worth about $65,000, to another state. “The carrier was suspicious of the package and opened it,” Massey said. The carrier notified Waterville police, who launched an investigation. Officers learned the 10-mg pills were legally prescribed by a doctor and the woman got them at a pharmacy. She was traveling for an extended period and got a 90-day methadone supply, Massey said. Massey’s department was rightly suspicious, with prescription drug abuse having skyrocketed in recent years. While the prescription turned out to be legitimate, Massey is concerned when large amounts of medications are readily available. “It goes to show you, sometimes, that these pills are prescribed in very large quantities,” he said. Massey is an expert of sorts when it comes to prescription drug diversion. Last weekend, he was invited by the U.S. Drug Enforcement Agency to speak to 300 pharmacists and others from all over the Northeast at the Pharmacy Diversion Awareness Conference in Boston. He talked about a prescription drug diversion program he had started in Waterville in 2007. The program, later emulated by police departments statewide, provides information about people convicted in drug-related cases to pharmacies, doctors’ offices, hospital emergency rooms and other places that dispense narcotics. The monthly fact sheets include photos, bios and information about charges, Massey said. Those who abuse prescription drugs get them in all sorts of ways, including stealing them from friends and relatives, buying them on the street, obtaining them through doctor shopping and feigning illness in emergency rooms. In Maine this year, eight pharmacies have been robbed. That number is down from 56 in 2012 and 24 in 2011, according to Stephen McCausland, spokesman for the state Department of Public Safety. No pharmacy robberies have occurred so far this year in Waterville, but in 2012, three were reported; in 2011, none; and in 2010, one. Roy McKinney, director of the Maine Drug Enforcement Agency, said he doesn’t know the exact reason for the decrease, but it may be a combination of factors, including a 100 percent arrest rate this year for those convicted of pharmacy robberies, as opposed to 85 percent to 88 percent last year. Also, convicted robbers have received significant sentences, the district attorney’s office mandated that all pharmacy robbers be prosecuted federally, and news media coverage helped raise awareness, according to McKinney. The Maine DEA, sheriff’s departments, police, medical facilities and community prevention coalitions also have organized drug take-back days around the state for people to dispose of unwanted, unused prescription drugs. More than 70 police departments in Maine have drop boxes for those drugs, according to McKinney. A take-back day was hosted in the spring, and another is scheduled for 10 a.m. to 2 p.m. Oct. 26 in many Maine communities. Maine collects more drugs per capita than any other New England state on drug take-back days, according to McKinney. He said that while years ago typical opiate addicts were in their 30s and 40s, now teenagers are becoming addicted. One reason is that pills are perceived by many people as medicine — and safe — and therefore, addiction won’t happen to them, he said. Initially, OxyContin was popular with users. Oxycodone, hydrocodone and now heroin abuse are increasing, with heroin being cheaper and more available than other drugs, McKinney said. John Martins, director of public and employee communications for the Maine Department of Health and Human Services, said that in 2012, 779 babies were born “drug-affected” in Maine. The abuse problem is having a tremendous social and economic effect, according to McKinney. Prevention coalitions help fund the high cost of prevention and diversion, and everyone is competing for limited funding, he said. Besides the economic effect, addiction is “quite a demon to deal with,” he said. “The hope and the goal is to prevent others from even initiating that type of behavior, because these drugs are powerful and the rate of addiction is very high with them,” McKinney says. According to DHHS’ Office of Substance Abuse and Mental Health Services, the estimated cost of substance abuse in Maine in 2010 was $1.403 billion, or a cost of $1,057 for every resident. The cost represents a 56.2 percent increase from 2005. Substance abuse treatment, which cost $47 million, made up the smallest part of the total cost at 3.4 percent; while the largest part, at 24.9 percent, was mortality, which cost $409.6 million, according to that office. McKinney emphasized the important role law enforcement agencies play in helping combat the prescription drug abuse problem. Both he and Massey said the prescription drug diversion program helps open a dialogue between law enforcement and those who dispense drugs. “It breaks those barriers that sometimes exist,” McKinney said. Massey plans to report to the Waterville City Council on Tuesday about his Boston presentation.